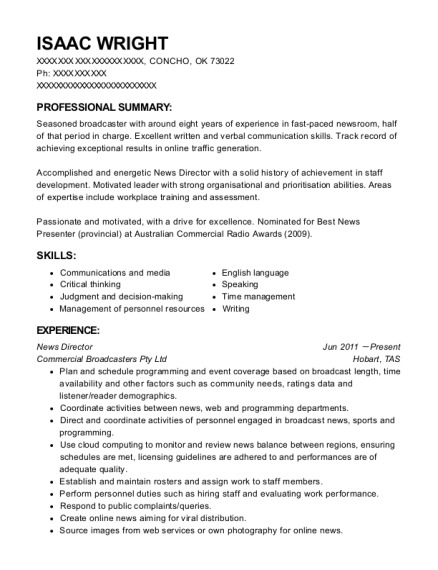 Dedicated and hard working communications professional with experience in writing, management, and media. Looking for a position to use my skills to serve the community. Coordinate activities between departments, such as news, sales and programming. Confer with producers, directors and production staff to discuss issues such as budgets, policies, and news coverage. Develop ideas for programs, features and community events that the station could produce. 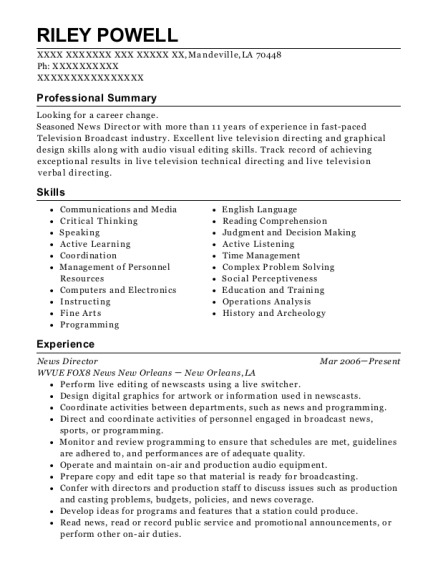 This is a resume for a News Director in Galloway Twp., New Jersey with experience working for such companies as NBC 40 News and Century 21 Alliance. 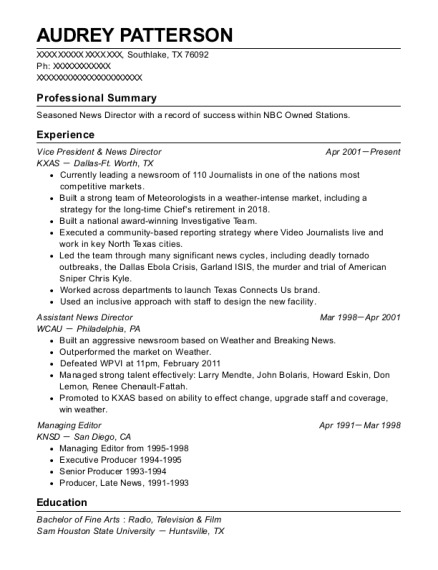 The grade for this resume is 0 and is one of hundreds of News Director resumes available on our site for free. 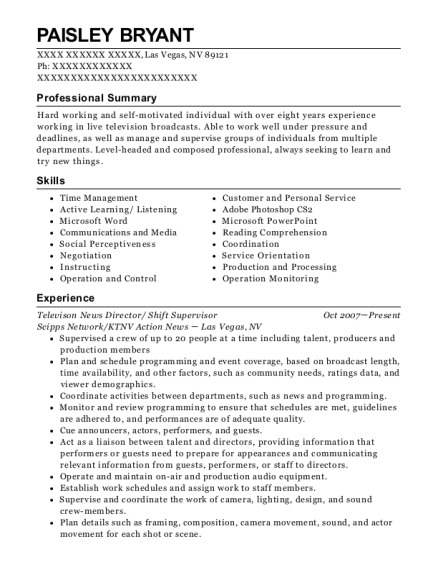 Use these resumes as templates to get help creating the best News Director resume.